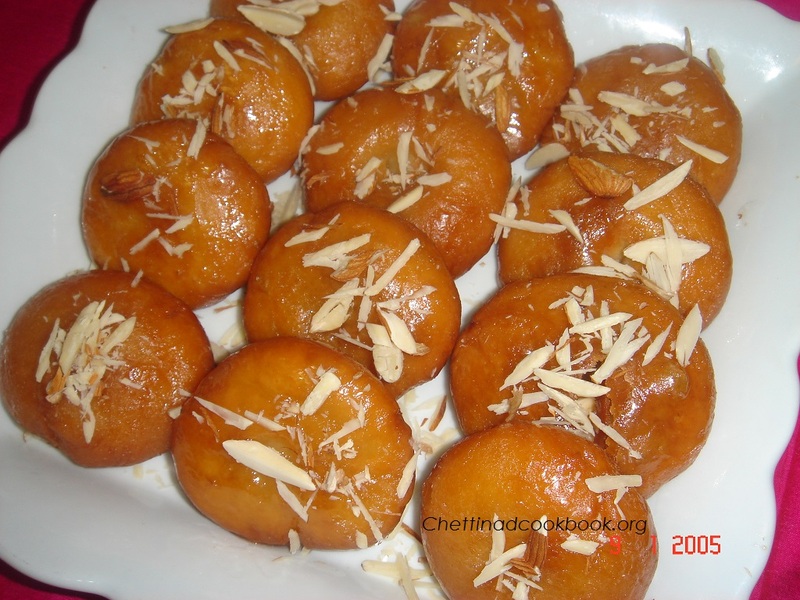 Delicious sweet,mild, flaky and soft, Badhushas can be prepared easily at home,it is not a big deal if you follow the steps given below .Children will enjoy the taste and its shape,by the name Mini Dough nuts. 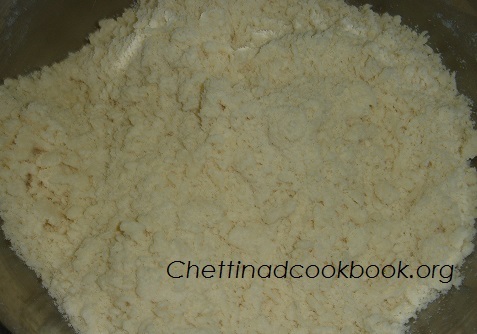 1.In a wide bowl add Maida ,cooking soda,Salt,Sugar and mix well by adding ghee and oil,Gradually add yogurt and mix gently and crumbly,as shown in the below picture. 2. 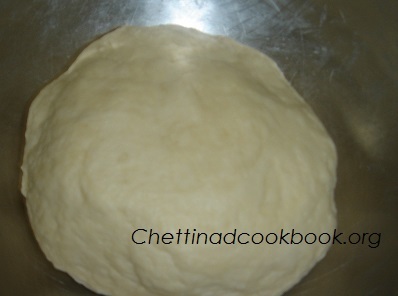 Sprinkle water little and make it to a smooth dough,let it set for 10 to 15 minutes. 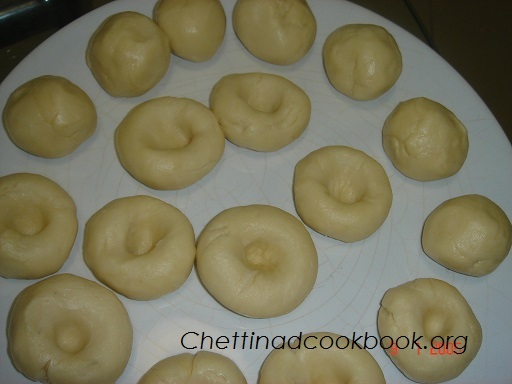 3.Make it into a small lemon sized balls,do not roll by pressing hardly,make it gently with out any cracks on it. 4.Hold a ball between your palms, just press little to make a flat shape,make a thumb impression in the middle. 5.Sugar syrup: Take another vessel add 1 cup of Sugar and 1 cup of water bring it to boil when the sugar dissolves boil for 5 more minutes check the consistency,one string consistency,now add lemon juice and switch off. 6.Heat oil in a pan, add these Badhushas scatteringly,fry in low flame carefully otherwise the middle part will not be cooked,fry golden brown. 7.Add fried badhushas in warm sugar syrup,turn in and on the sugar syrup, so as to get coated allover the Badhusha let it get soaked in syrup for about 30 minutes. 8.Transfer to serving dish sprinkle finely chopped Badam or Pista . This can be stored for 4 to 5 days fresh.